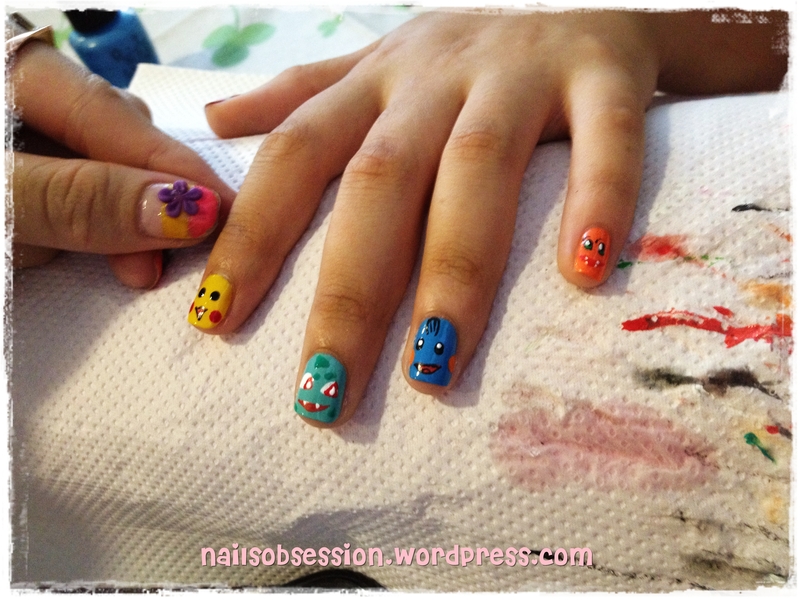 Did a few super cuteeeeeee nail art on our last flea with Nails Cottage! This set of Hello Kitty nail art belongs to a JC student, yes she’s still schooling and she decided to get her nails done on one hand as she couldn’t resist this cute design! She requested for a kitty face on her thumb, polka dots on rest, and a lil’ kitty ribbon on the ring fingernail. Charged her half price for this bcos’ I only did on one hand hahaha. Interesting as this is the first time I encounter such a case. I’m not a fan of Hello Kitty but I super super adore this design hehe! 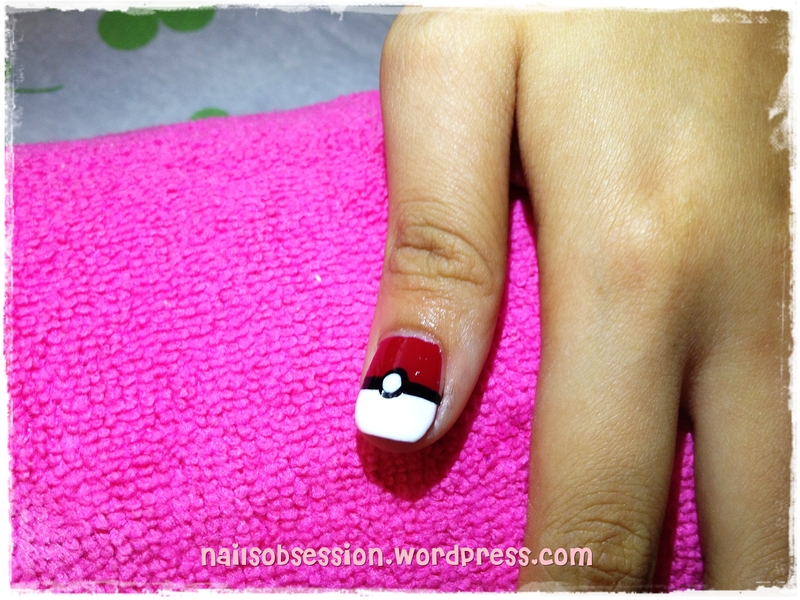 Next up was pokemon nail art on the friend, did I warn you about the cute designs?! Also did on one hand and charged her half of the actual price! I watched pokemon when I was young but I’m also not a fan of pokemon (lol) so I have absolutely no idea what are their names and how they looked like. 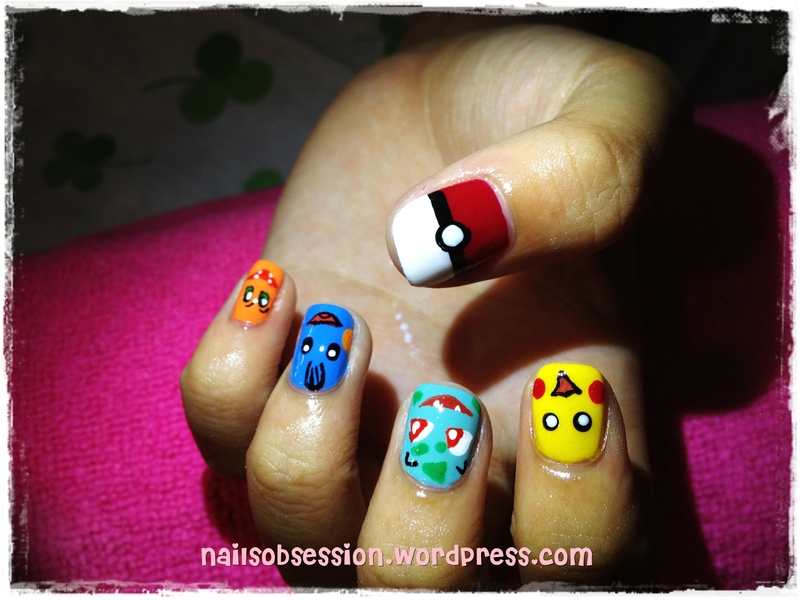 PS had to google for the me the picture of these pokemon for me to replicate it on her nails! So, I learnt something new that day – names of pokemons! LOL.